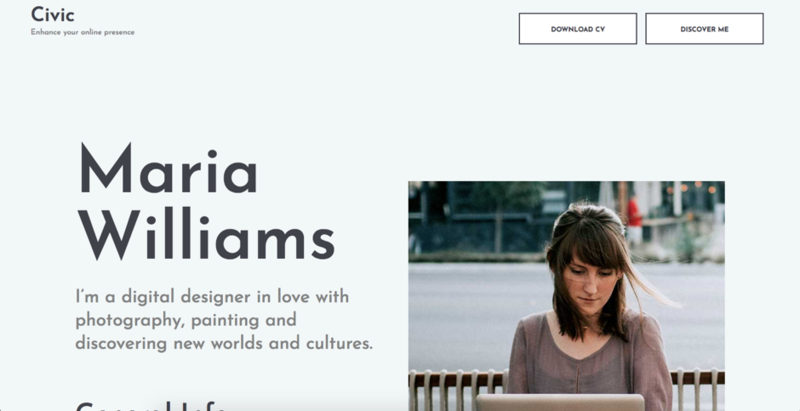 Do you have an online portfolio website of your own? If yes, then you are walking right along the need of time. If not, well, then step up and get yourselves one. That simple. 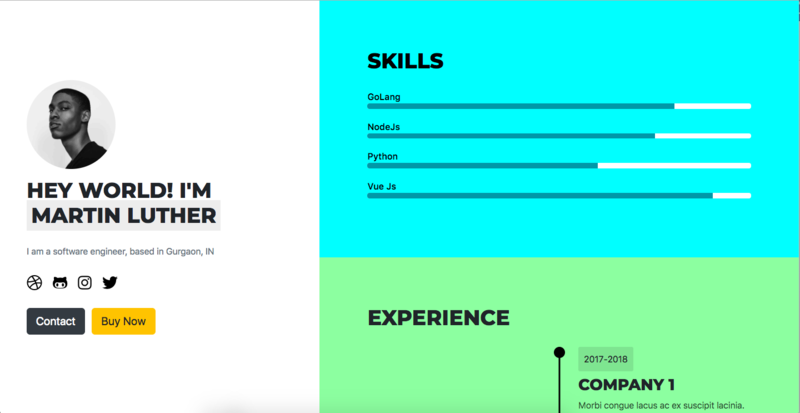 Online portfolios are the new resume in this new age of development. They are used in almost any kind of software business. A competitive and unique portfolio is the first mark towards big impression. 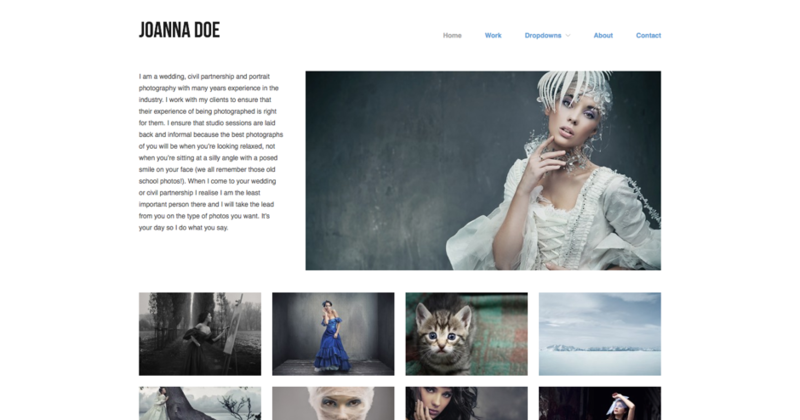 This new trend seems legitimate; your portfolio represents you on every online platform. 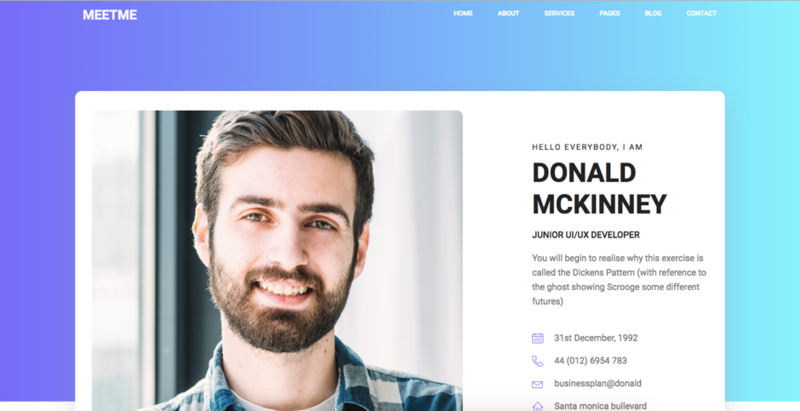 We come up with the best portfolio website themes from 2018 that will make an impact this year. 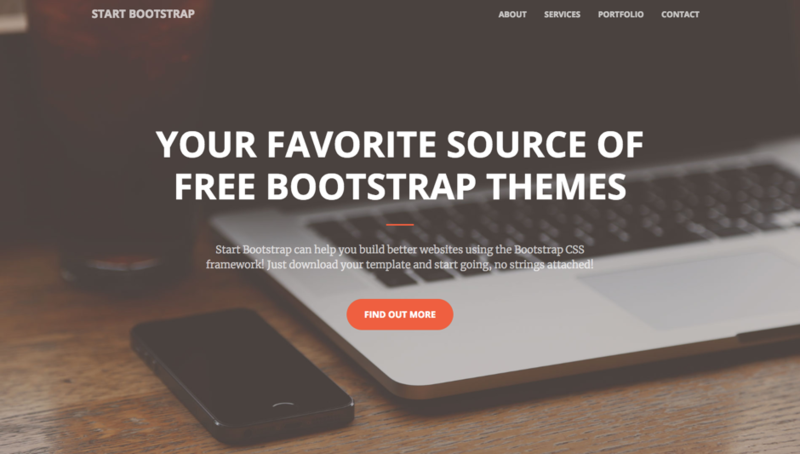 This theme is only for the developers who want to make a bold statement. Hugo Ulite is listed in the GoHugo directory. It has many elements of proper description of a developer. 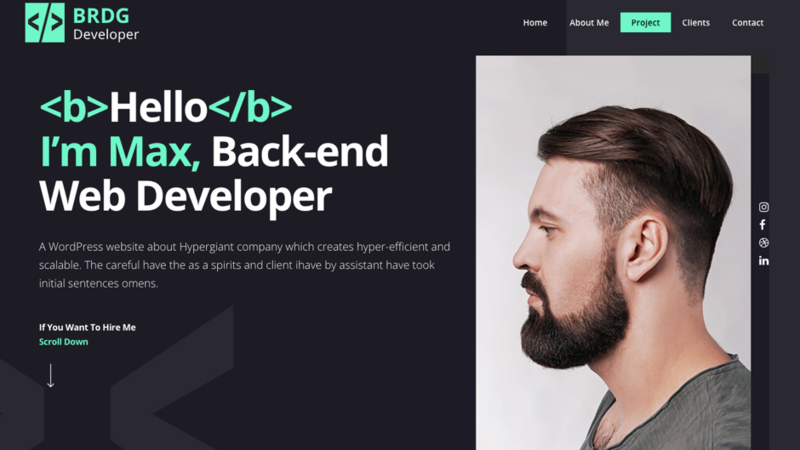 This is a convertible bootstrap portfolio website theme that can be used for creating business and portfolio websites. It is a one-page website that has two containers, that can be used according to use. It also comes with contact section. This one is a bit simple. It is a modern theme that gives all the personal information with social connections. It is bold and attractive. The navigation bar brings in all the aspects of what to look in a designer. 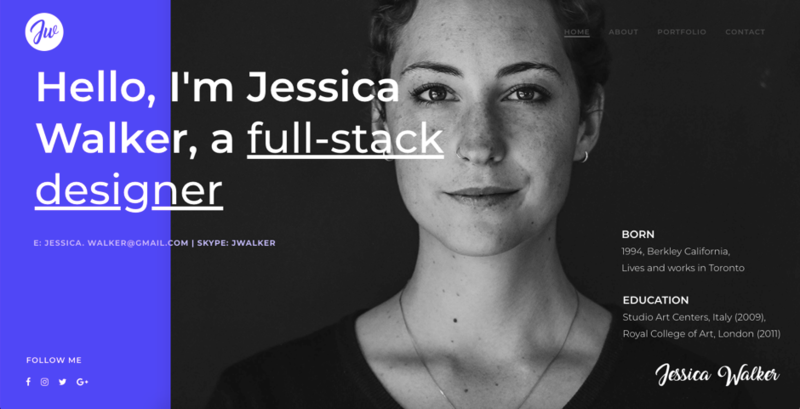 Civic is a wide-positioned, cream-colored, and bold-lettered portfolio. 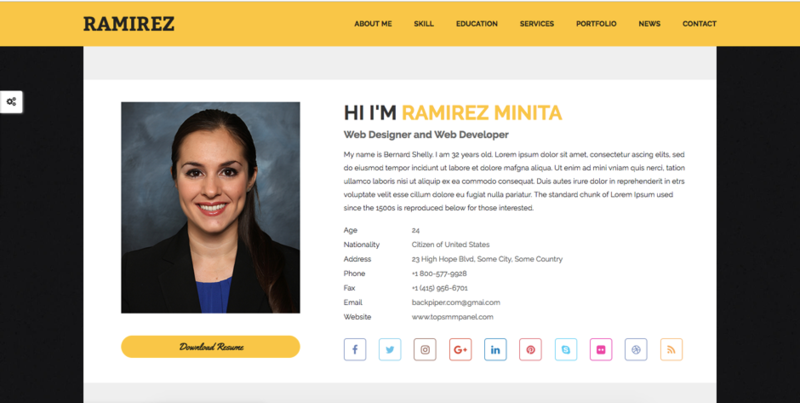 It says what it wants to say, loud and clear Just like MeetMe portfolio theme, this one has personal information, social buttons, work experience, education, references, skills, contact form and products. It has all the information and content that a normal portfolio will have. But the color scheme of this theme is the cherry on the top. 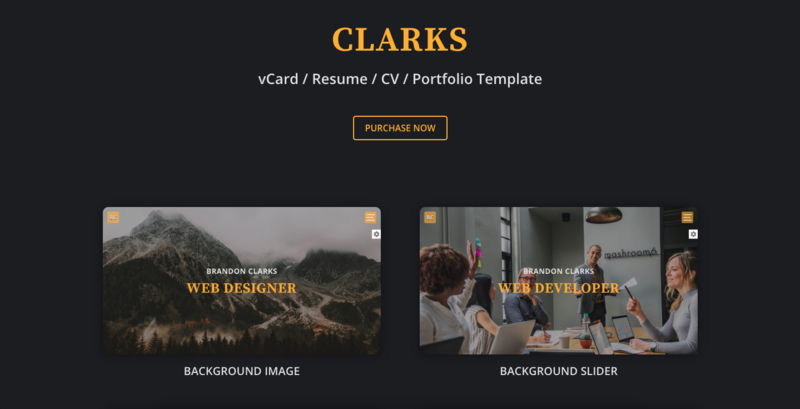 Clarks is a v-card personal portfolio website theme that actually ends up in more than one individual page. It has four different cards on the home page which can lead to more sources of information. The collaborations of colors, the size of cards and the feel of this template is beautiful.